This week officially marks We’re Calling Shenanigans’s 3rd birthday! 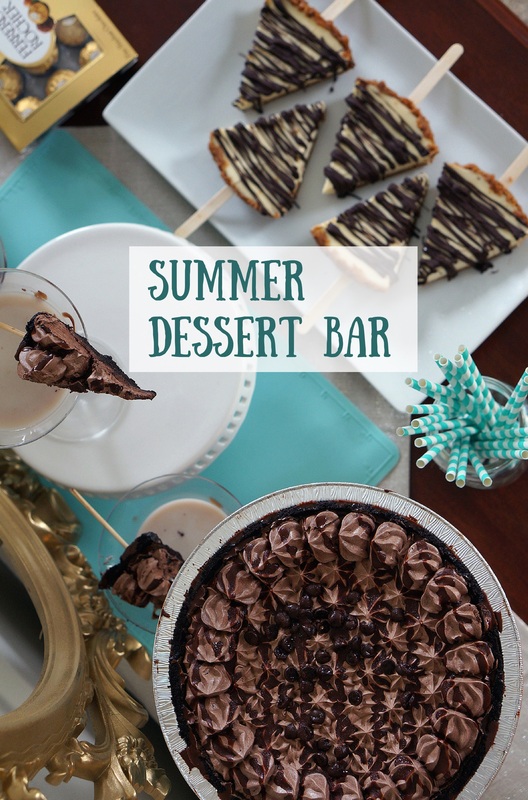 And what a better way to celebrate than with a Summer Dessert Bar?! 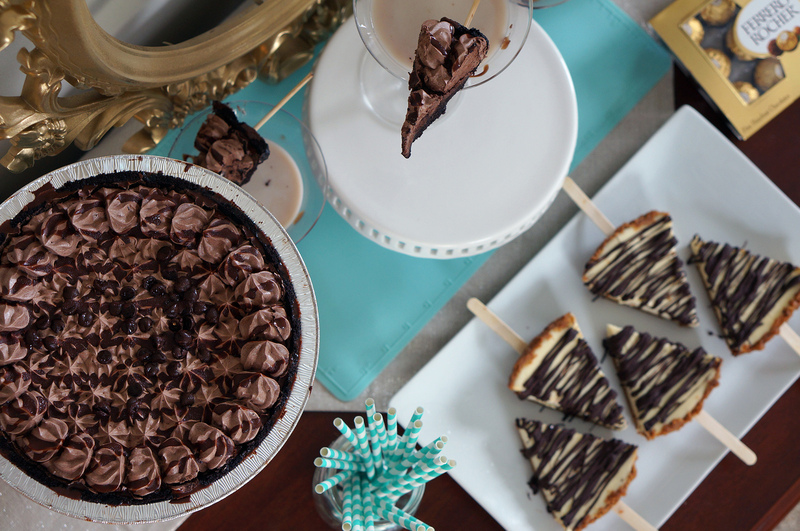 After researching several dessert bar ideas, I thought it would be fun to make it pie themed. What says summer more than pie? Since it is still blazing hot outside (and unfortunately also inside my apartment), I am still trying to avoid using the oven. 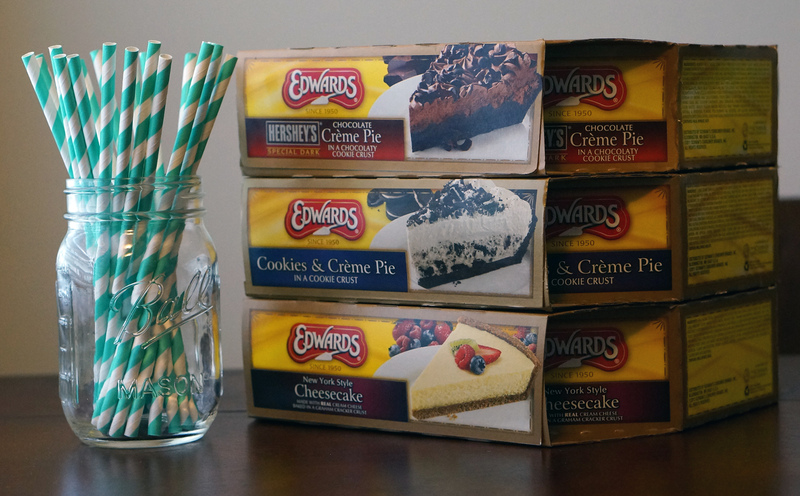 This made these EDWARDS® Thaw & Serve Pies the perfect ingredients for my Pie Inspired Dessert Bar. If you want to make one of these recipes at home save $1.00 on any ONE (1) EDWARDS® Whole Pie by taking advantage of the Walmart EDWARDS Ibotta digital rebate while supplies last. How could I have a dessert bar without a signature cocktail? 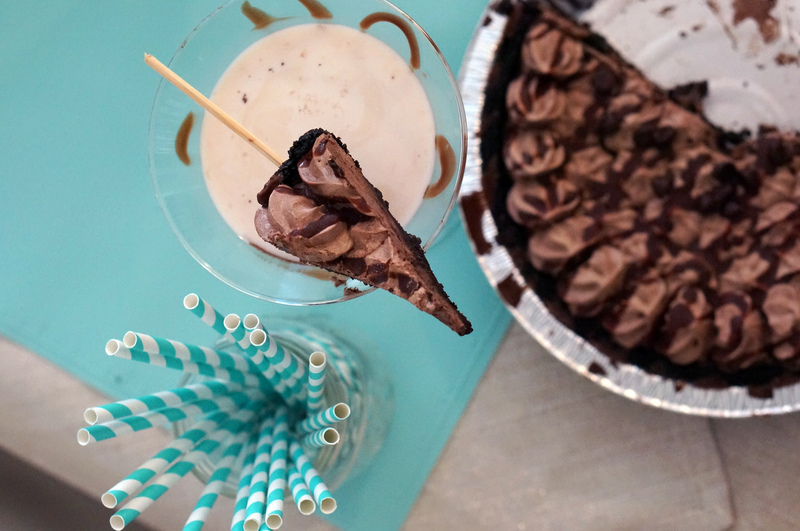 And what a better than a dark chocolate pie martini! 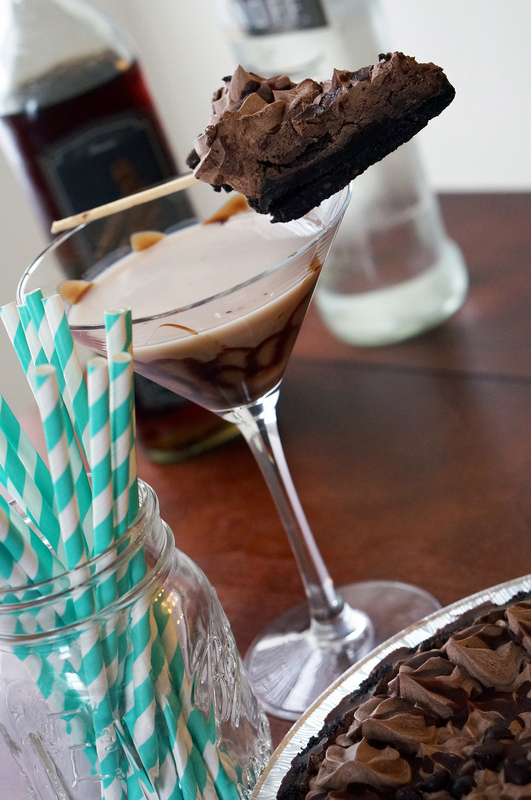 If you are looking for something to satisfy your sweet-tooth while you create your dessert bar, this decadent cocktail is your perfect sidekick. 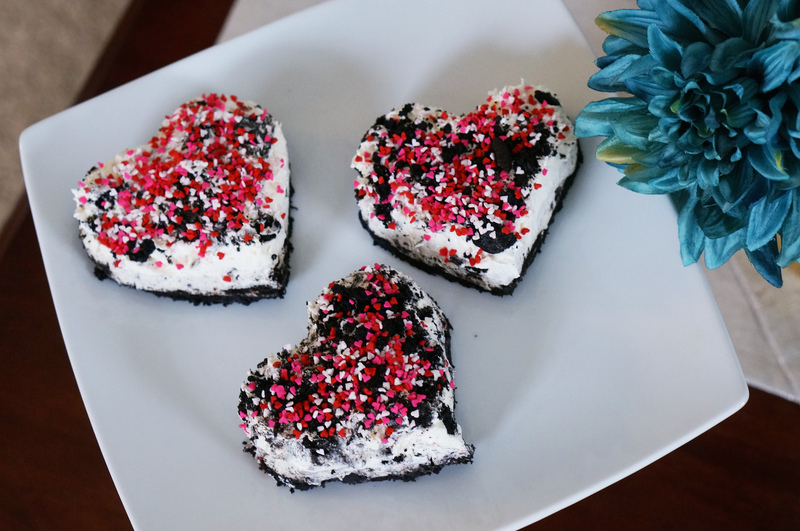 Since these should be made to serve, don’t prepare them until your guests arrive. 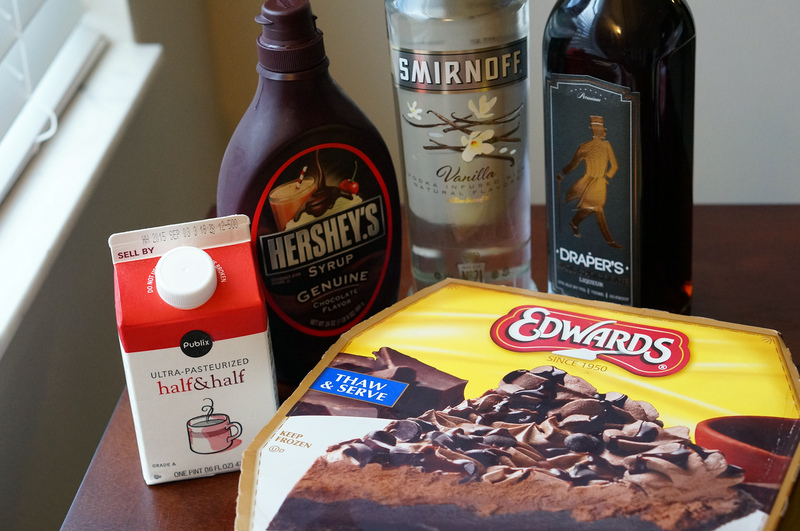 Put ice, Liqueur, vodka, and half & half into martini shaker with ice. Shake well. Drizzle Chocolate syrup on the sides of the glass. Pour mixture into martini glass. Garnish with tiny slice of pie on a stick. 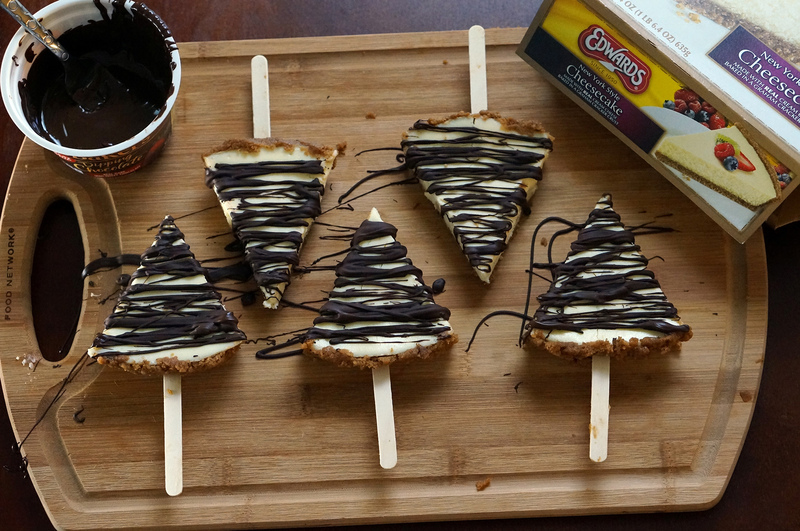 I loved the idea of mixing Cheesecake and popsicles! What a perfect summer combo! 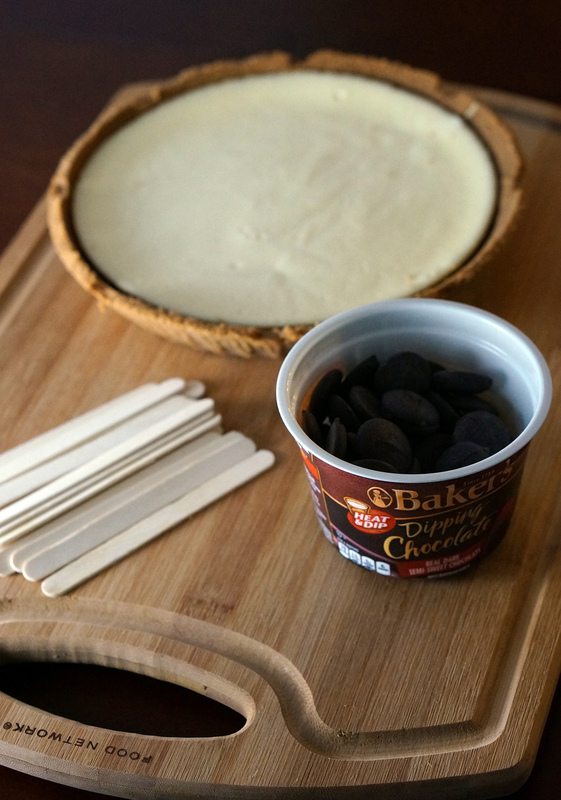 I have seen people turn pies into popsicles on Pinterest before, but I thought that it would be fun to add a little chocolate on top. To my surprise the pie does actually stay on the stick and was very easy to serve. Start by cutting your cheesecake into 6 to 8 pieces. 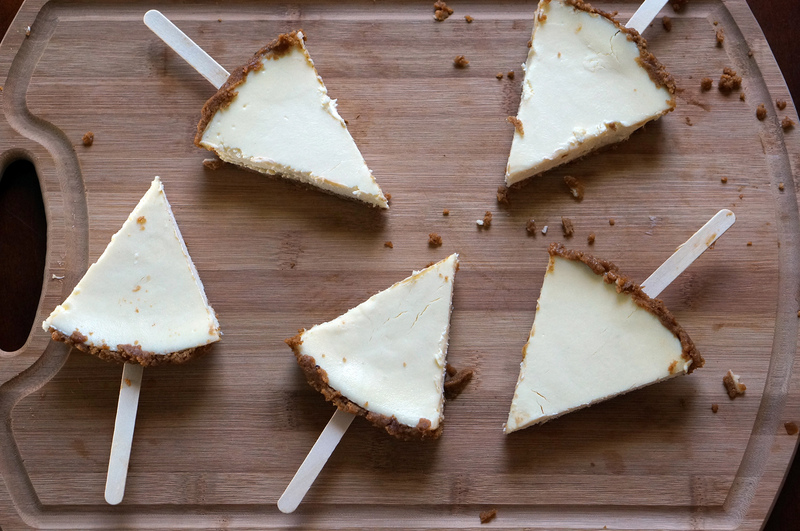 Carefully put your popsicle stick into the thickest part of each cheesecake slice. Next microwave your chocolate according to the directions on the container (normally you microwave in 30 second intervals mixing in between until melted). 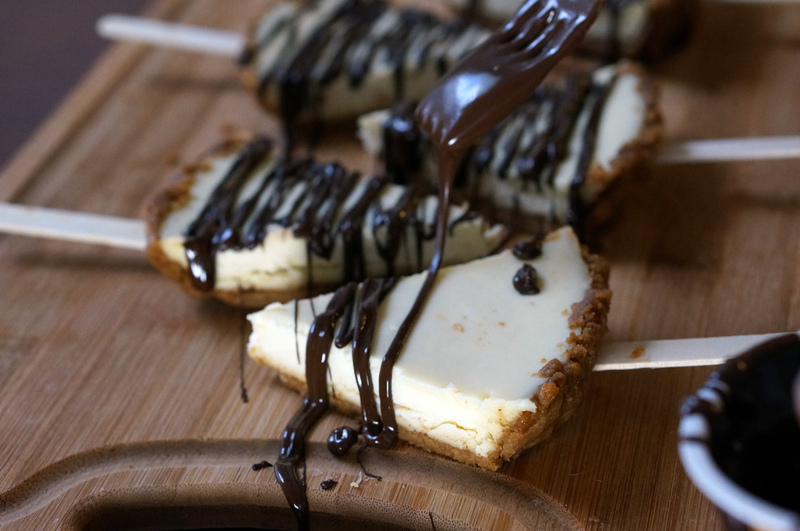 Using a fork, drizzle the chocolate onto your cheesecake pops. 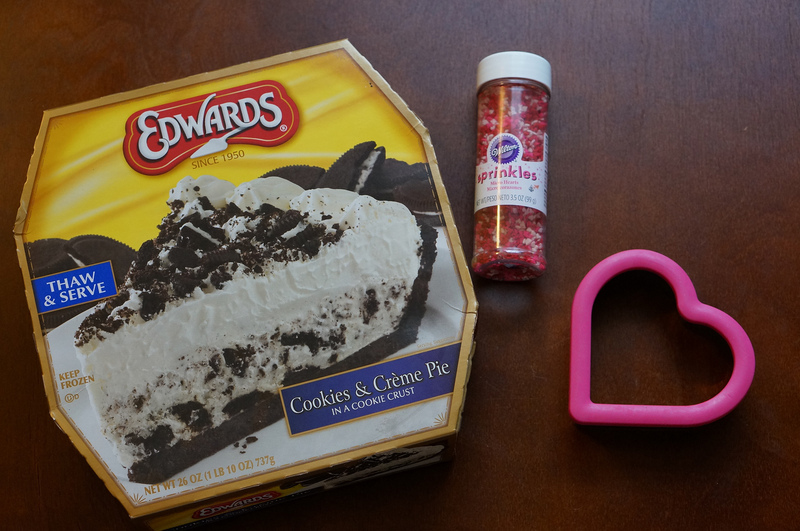 Because it is my favorite, I had to buy the Edwards Cookies and Creme Pie, but I wanted to find a fun way to serve it. 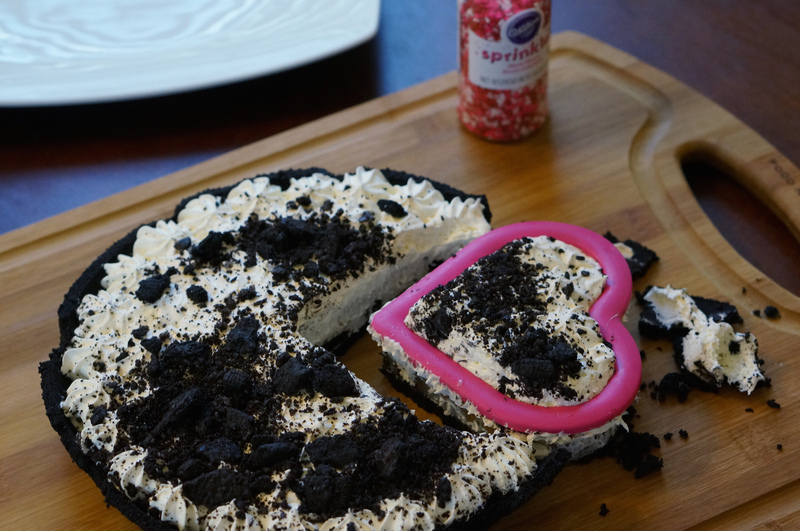 I decided to cut the pie into heart shaped servings (and added some sprinkles for fun). Make sure you are using a cookie cutter that is deep enough to cut the pie. Press the cookie cutter into the pie and use a spatula to push it out of the mold. My pie made 4 hearts since my mold was so large. 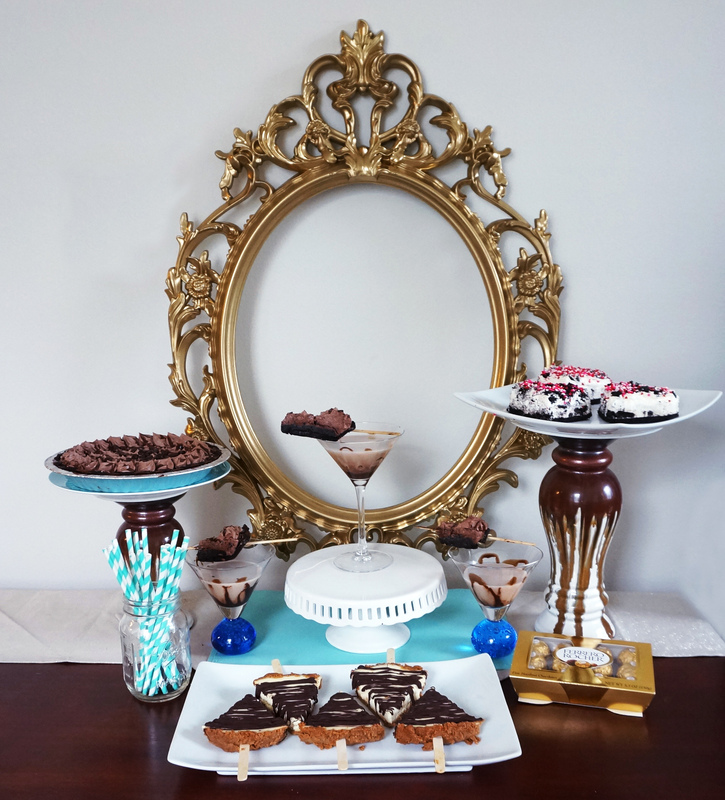 After finishing all of the dessert recipes, I assembled my dessert bar for the perfect girls’ night! The theme was teal and pie, the perfect way to celebrate Shenanigan’s birthday!